After formally announcing that he has joined the Dreamville staple, J.I.D has finally revealed the release date for his debut album The Never Story: Friday, March 10th. A 12-track effort, the project will feature the likes of Childish Major, 6LACK, SMKA, and more, with a pair of tracks produced by J. Cole. One of those tracks, “D/Vision,” has now been released. 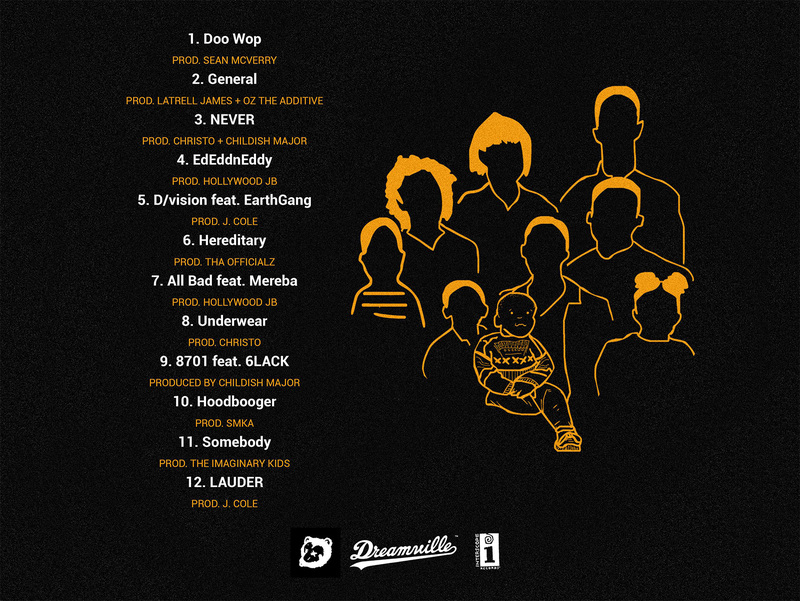 Featuring his Spillage Village brothers EarthGang, the track can be heard below.